Home / Blog / IT Staffing / SAPUI5 vs OpenUI5 Developer. Is There Any Difference Among Them? Websites are avenues through which businesses, companies, and individuals can connect with their target audience, customers, or clients. The user interfaces of these websites, which is comprised of everything that users interact with, are among the most critical factors that dictate how these users perceive the website and the brand they represent. It’s therefore critical that websites deliver the best user interface and consequently, the best user experience possible. To help achieve this, several UI & UX design libraries are available to enable the development of elegant and well-polished user interface components with minimal coding. Two such libraries are OpenUI5 and SAPUI5, and in this article, we will take a look at these libraries and their features, and present a SAPUI5 vs OpenUI5 comparison. OpenUI5 is therefore merely the open-source version of the proprietary SAPUI5. Collectively, these libraries are called UI5. UI5 primarily provides developers with UI tools to develop enterprise-ready web applications that deliver a uniform look and feel and a consistent user experience. These web applications are able to adapt to different devices and screen sizes. In addition to UI controls, UI5 also provides additional tools for frontend development, such as support for the MVC architecture, two-way data binding, and URL routing. Let’s take a look at how UI components developed using UI5 looks like. We take these screenshots directly from the samples provided in the OpenUI5 website. You can read several articles on the web comparing UI5 with other technologies, such as SapUI5 / OpenUI5 Bootstrap comparisons to differentiate UI5 from Bootstrap, or OpenUI5 AngularJS comparisons to know the difference between OpenUI5 vs AngularJS. Let’s take a look at the actual differences between OpenUI5 and SAPUI5. The primary difference between the two is their license: OpenUI5 is open-source, so it is under the free Apache 2.0 license, while SAPUI5, being proprietary, is under the proprietary SAP® license. Moreover, OpenUI5 is a standalone product that’s available to the public for download, while SAPUI5 is part of the SAP® ecosystem and is available only for internal SAP® projects or for SAP® customers. 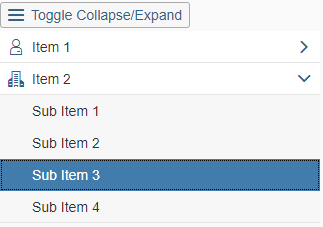 Also, SAPUI5 contains a few additional UI controls that are not included in OpenUI5 for organizational reasons, but for the most part, SapUI5 and OpenUI5 contain nearly identical features. Having discussed the differences between the two versions of UI5, an important question then arises: Is a SAP UI5 developer also an Open UI5 developer? The short answer is, yes. Any SAP UI developer would be fully equipped to be an OpenUI5 developer, and although some added SAPUI5 controls are not present in OpenUI5, this is not a substantial difference and an OpenUI5 developer can easily learn these additional controls in no time. Regardless of whether a UI5 developer is working with OpenUI5 or SAPUI5, his main task is the same: to develop a web application with elegant user interfaces that deliver a consistently pleasant user experience to the application’s users. Comparing SAP UI5 developer salary in UK, Israel, France, Ukraine, based on the numbers presented above, SAPUI5 developers from the United Kingdom are paid the highest rate of $60,260, while Ukraine presents itself as the most cost-efficient option if you were to hire a SAPUI5 developer at an affordable cost. The same can be said when we compare OPENUI5 developer salary in UK, Israel, France, Ukraine. 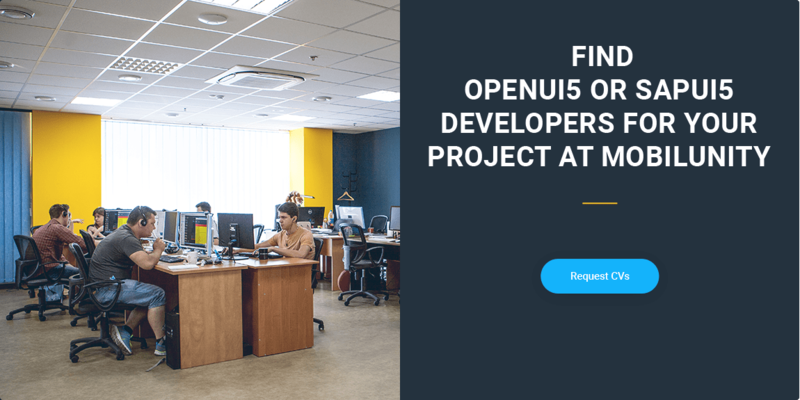 The reason is that OPENUI5 developers are skilled in the same tools and technologies as SAPUI5 developers aside from some proprietary libraries and functions that are limited only to SAPUI5. The above rates are certainly steep and may probably not fall within the budget of many businesses. One other option would be to hire dedicated UI5 developers from Ukraine, and with this option, you may save you up to 60%. Having read through the various SAPⓇ UI5 jobs salary from various countries, the next step is to know how you can hire SAPUI5 developer. One of the ways to hire OPENUI5 developer or hire SAPUI5 developer is to put up job postings on local or international job boards, like GlassDoor. This way you can find OPENUI5 developer or SAPUI5 programmer that is interested in your development project by virtue of them applying directly to your job posting. Another way is through freelance portals, such as Upwork, where you can scroll though the lists of freelancers such as junior SAP® developer and SAP UI5 developer for hire and offer them a place in your application development project. Both options provide you with the opportunity to personally handle the screening of UI5 developer for hire for your development project. You can assess how well they fit the development project as well as look for other SAP® mobile developers that will be involved in your project. Another option that you can use is to get in touch with companies that are providing outstaffing services; companies providing the services of their development staff. If you are looking to outsource your project to a SAP® mobile developer or junior SAP® developer, companies like Mobilunity, can provide you with a highly skilled dedicated developer for your project. One of the advantages of going with this option is that these companies have a wide pool of skilled and experienced SAPUI5 developers that they are capable of providing you with to meet your development needs. Moreover, they can do this within the shortest possible time. Provide 2 major processes in a SAPUI5 development testing. What are the specific SAPUI5 processes or tasks that you used in the projects that you mentioned? What are the differences between SAPUI5 and OPENUI5? Interview questions will be able to provide you a lot more detail on how well and experienced the possible SAPUI5 developer or OPENUI5 developer really is and whether they are a good fit for your development project. OpenUI5 and SAPUI5 are two libraries that aim to make the development of polished web UI components a breeze. We have explored their common features as well as their differences in a SAPUI5 vs OpenUI5 comparison. If you’re in the market to look for a SAP UI5 consultant, we are here to help you out! 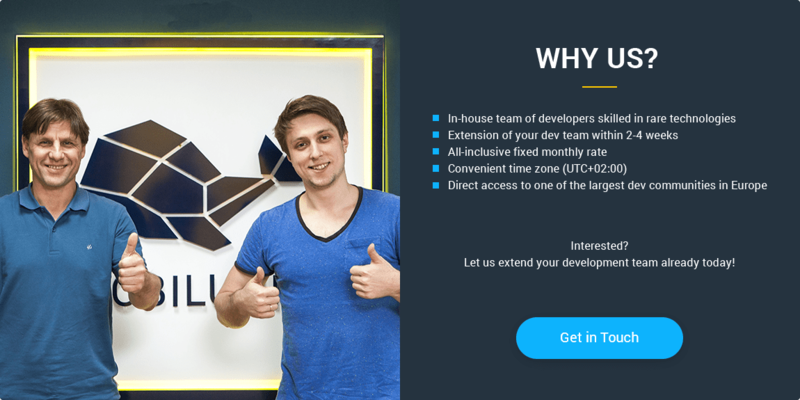 Here at Mobilunity, we have highly capable OpenUI5 and SAPUI5 developers you can hire. As a dedicated teams provider from Ukraine, the skills of our developers come at very reasonable prices, so we’re a perfect choice to hire UI5 developers for your next project. Aside from the SAPUI5 developer and OPENUI5 developer sample resume, we would like to provide you a basic idea on what skills, technologies, and experience to look for in a SAP Fiori developer and short technology overview. SAP Fiori is a new addition to the SAP® business applications portfolio; a new user experience for SAP® applications and software. SAP® Fiori provides users with over 300 different application options, in the form of user-specific applications that they can use for various business processes, such as HR, Finance, R&D, Engineering, Asset Management, and many more. You might be confused as to how SAP® Fiori is different from SAPUI5. There have been a number of SAP® Fiori vs SAPUI5 and SAP® UI5 vs Fiori discussions, differences,advantages and disadvantages between Fiori vs UI5. SAPⓇ Fiori is a set of user-centric transactional applications built on SAPUI5 and OData services. SAP® Fiori was developed to increase user productivity and satisfaction in using SAP® software and application products. If you are interested to adapt this technology into your SAP® application development project, it would be best to find and hire a SAP® Fiori consultant to discuss the possibilities for integration. 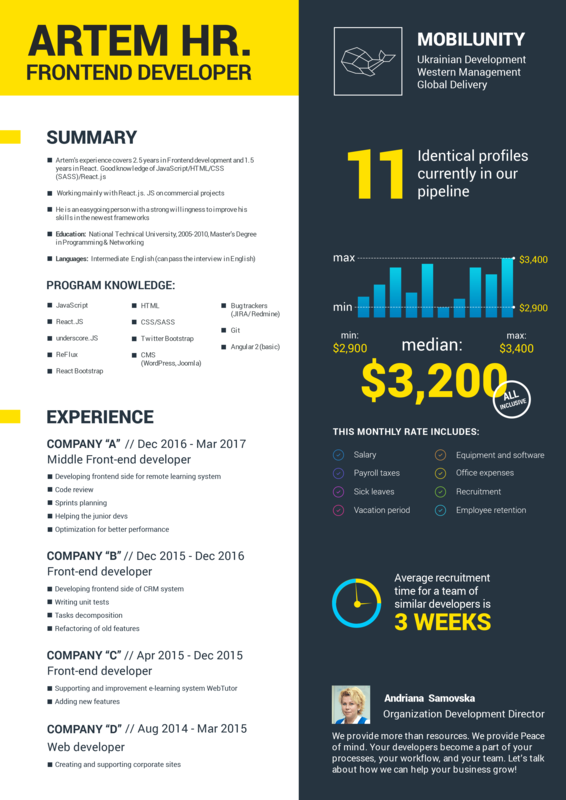 Below is a sample SAP® Fiori Developer resume to give you the basics on skills and experience of such experts. Have used SAPUI5/OPENUI5 in user interface development for business functions and/or applications. Contact us now, and let our SAP UI developers help your website shine!